Another item we've not shared on our website but have had to ourselves and our in-shop customers for quite a long while is our Marque Mirrors. The bases are CNC machined from billet. 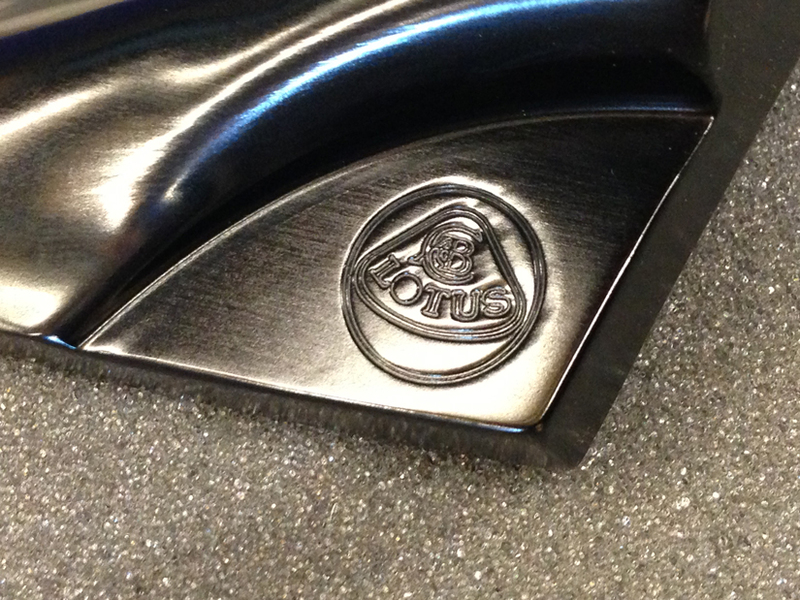 They are actually a very complicated machining operation, as the backs are curved to meet the body lines along with a very detailed Lotus roundel CNC engraved into each base. Unlike the Craft Square bases and others, these do not protrude into the window opening, so the look is quite a bit cleaner and intentional in my opinion. We provide pre-cut vinyl to black-out the A-pillar behind the mirror for a cleaner look as you see in the pics. The base finish is bright dip ano and the mirror shells are CF with UV friendly clear. These look awesome! And I think your price point is dead on! Agreed these are a great option to the craftsquares. Perhaps a photo comparison of stock vs. BOE mirror coverage. Thanks. Debated on the price internally. This was as low as it can go. Honestly, at this price, once this first batch goes, we may not make another unless we can add some price to them. The machining time/cost is just silly. There's not a flat edge on them so there are mulitple handling turns, etc to cut them out. Get'em while you can! Don't say that, I've been bleeding money lately and these mirrors are pretty nice. Exactly! and I still need an oil pan! That reminds me, I should install mine. Shave 10 pounds ? These just went on my wish list to Santa. Yeah Uncle Phil - what's it weigh? Phil, how's the width compared to the OEM mirrors? You have the same view in your mirror as OEM? Other stems are possible? This is very tempting!! Wow, I usually don't get excited about non-functional (I mean, it's not gonna improve lap times) items like this but those are pretty sweet! Would you sell just the base? Just got mine. They are a work of art. I would have paid for the CNC bases alone. Can't wait to install. Nice touch supplying the blackout tape! Can you install the Magical stem into the BOE base plate? Did yours come with instructions? I just got mine today. They are beautiful. It would be nice if some installation notes were included. Did you use an incorrect logo on the base because of a need to avoid the Lotus copyright issue?